Stampin' in the Sand: Shop The Holiday Catalog Now! It's here! The day we've all been waiting for! The Holiday Catalog has made it's official debut!!! I'm in Love with all of the AMAZING new products and I know you will be too! Jump on over to my Online Store (here) and prepare to be blown away! All items are now available for you to order! I'm so excited to start crafting, and I know you are too! 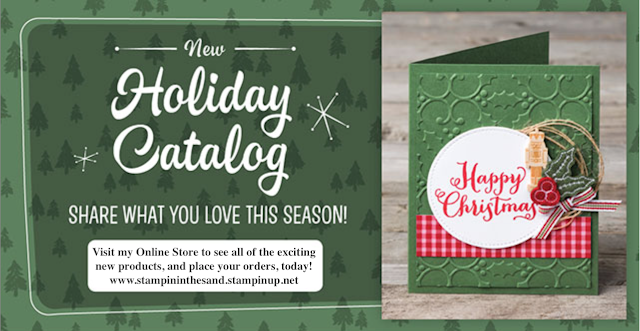 You can order your new Holiday Catalog goodies here. As alway's, if you have any questions, I am here to help!